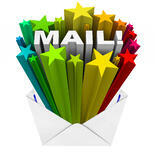 Creating all-star emails is imperative to lead nurturing. Make sure your emails catch the reader’s eye, inform them about a service and provide them all the details to make use of the service easily. Under 70 characters to make sure that it does not get cut off when viewed in the inbox. Too much clutter in the subject line will not attract reader interest and the spam filter will ensure that your mail is never seen by the recipient. It helps if the ‘from’ field has a real and valid mail-id from a domain that has something to do with the product or service that the email is marketing. When bulk mailing lists are sent out with the ‘from’ field filled with a bunch of alphanumeric gibberish, or if the name that appears is someone that the reader does not know and no attempt is made to clarify the qualification of the sender, the email will be ignored. Most automated mailing services do not have a ‘reply to’ address. In fact a majority specifically ask readers not to reply to the email. This is a serious put-off and a strict no-no for lead nurturing. If the reader is actually interested in the contents and wants to follow up, or has a few doubts he want clarified, if there is no way to contact the service providers, there is no incentive to continue reading. Some Email Service Providers allow companies to provide the option of how to view the emails to the recipients since not all emails can be rendered successfully by the mail server. Viewing the email as a webpage would allow you to add a lot more detail and graphics, provide effective content and also give the recipient the comfort of choice. Short, sweet and informative is the key. No one wants to read large chunks of text. There is no point in overloading the email with all the information available on your products or services. Provide readers with a teaser and if they aren’t interested, it is unlikely they will ever be. A clear Call To Action the crux of inbound marketing, and they tell the user what the next step in the process is. Make sure that it takes up the most prominent position in your email (by giving it the largest font or linking the main picture to the same landing page). Unsubscribe Etiquette – Don’t Be a Pest! It might seem counter-productive, but including an unsubscribe option is essential. Not everyone will be interested in your products, now or ever, and forcing your emails on someone not interested will ensure that even if at some point they do need services or products, similar to what you offer, they might harbor some ill feeling towards your brand from years of having to delete your emails. Learning how to rock a marketing email may seem like common sense, but these days you can’t afford to make simple mistakes that could cost you valuable leads!